Staying at one of America’s historic hotels can help elevate your vacation to something quite special. And they are for families too! Historic hotels have a story all their own to tell. 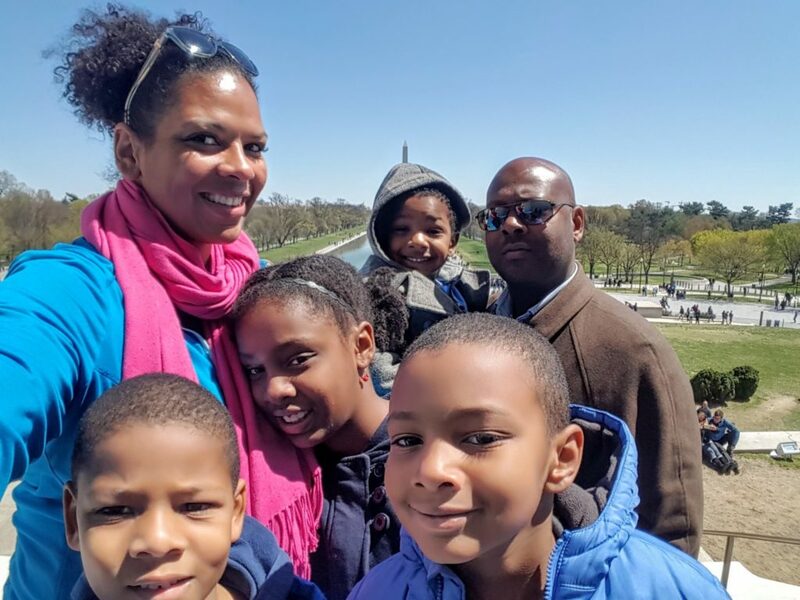 They can wake up a family vacation by offering a fun educational component and letting the whole family experience something unique. While some hotels are just “old,” all the hotels listed as Historic Hotels of America (HHA) are some of the finest hotels in the country. These hotels all must be at least 50 years old, have some historical significance. 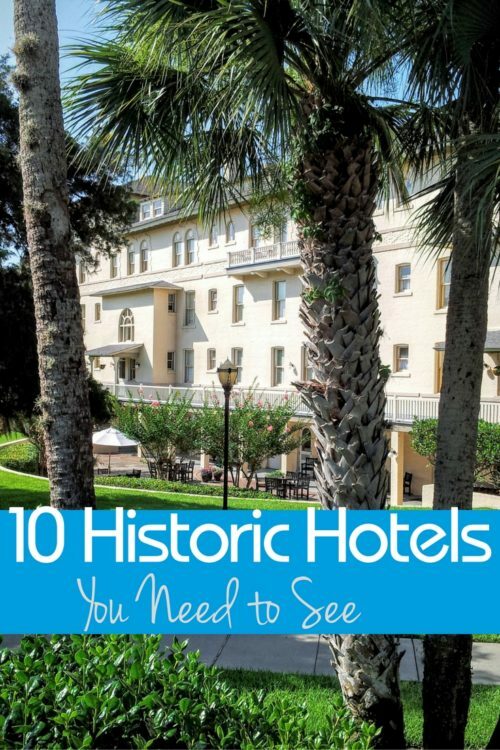 In addition, these historic hotels must be designated as s a National Historic Landmark or listed (or eligible for listing) in the National Register of Historic Places. 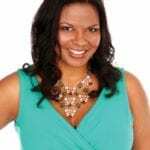 HHA has 275 beautiful, historic hotels in 45 states, the District of Columbia, the U.S. Virgin Islands, and Puerto Rico. Each one of these amazing historic hotels tells a story. Parents should not be afraid to stay with their kids in most historic hotels. No need to worry about outdoor plumbing or lack of Wi-Fi. Almost all hotels have been fitted with the latest technology and will not leave you lacking in terms of communication. You may want to check out the size of accommodations, however, as many historic hotels were not built to suit big families. Check out this list of 10 family-friendly historic hotels. I’ve stayed at three of them and the rest are on my family travel wish list! The Mission Inn Hotel & Spa (1876) Riverside, California. There are more than 6,000-piece art collection on display throughout this hotel. It is known now for its spectacular architecture and AAA four-diamond restaurant, Las Campanas Mexican Cuisine & Cantina. The King and Prince Beach and Golf Resort (1935) St. Simon’s Island, Georgia. The Resort operated as a naval training facility and radar station during World War II and now it offers a complete oceanfront resort experience including tennis, golf, and even horseback riding. 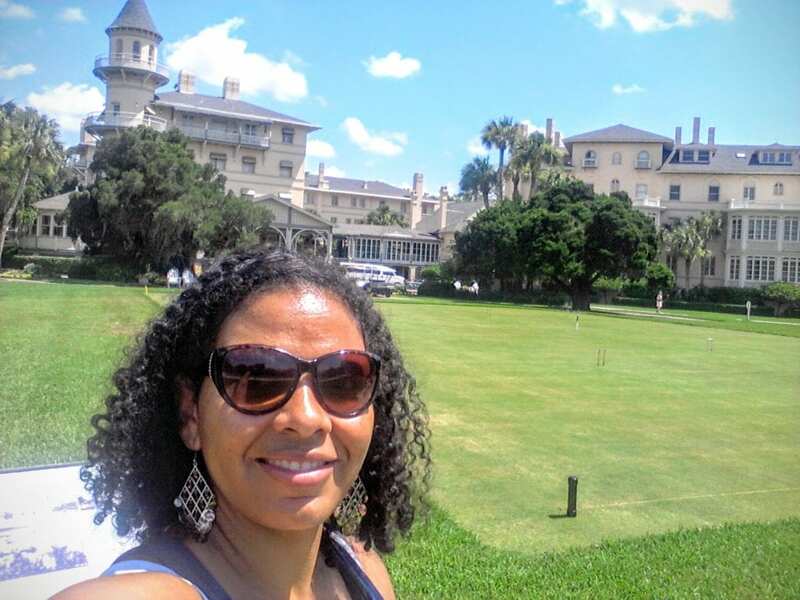 Read why Cultural Heritage TravelingMom Christine Tibbetts and her extended brood thought of the King and Prince Beach and Golf Resort and how the historic hotel was a great spot for an improvised game on I Spy on a rainy day. Loews Don CeSar (1928) St. Pete Beach, Florida. Known as Florida’s Pink Castle when it opened, this 10-story hotel still maintained its fantastic pink exterior. 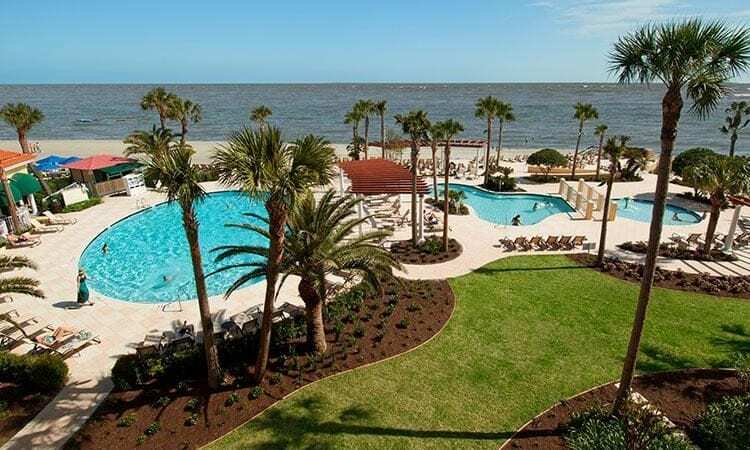 This hotel, which is part of the posh Loews Hotel chain, sits on the sands of an island in the Gulf of Mexico and its opulence is extraordinary. This hotel, like many historic hotels that are part of larger chains like Loews, offer an additional level of security for families that it will be a place where they are welcomed. Omni Shoreham Hotel, Washington DC (1935). Yes, historic hotels can be in big cities too! This hotel has hosted every president’s inaugural ball from Franklin D. Roosevelt to Barack Obama and boasts some of the largest guest rooms in the District of Columbia. While it does have an imposing presence, I found the staff warm and inviting. And it’s within walking distance of cute shops and restaurants! The Crockett Hotel (1909) San Antonio, Texas. This hotel stands where Davy Crockett and an outnumbered band of Texas settlers defended the Alamo during in 1836. While they may have lost that battle, the cry of “Remember the Alamo” has inspired Texans ever since. That inspiration can be noted in the grandeur of this historic boutique hotel. For any “wanna be cowboys” this hotel might be extra special. Hilton Chicago (1927) Chicago, Illinois. The U.S. Army purchased the hotel in 1942 for $6 million to use as barracks and a Technical Training School for the Army Air Force during World War II. Now it contains 1,500 guest rooms, several restaurants, and a 16,000+ square foot fitness center in the heart of downtown Chicago. This hotel is steps away from the fabulous Millennium Park and Maggie Daley Park, two must-dos for families. For a special treat for the whole family, check out their delicious Sunday Jazz Brunch. Kids are always welcome and mom and dad will love it. I find it to be a very “Chicago” way to do brunch! Battle House Renaissance Mobile Hotel & Spa (1852) Mobile, Alabama. Established on the site of a military headquarters set up by Andrew Jackson during the War of 1812, the hotel also served as a Confederate hospital during the Civil War. Now it’s a AAA four-diamond resort restored to its full grandeur. Jekyll Island Club Resort (1888) Jekyll Island, Georgia. The Club was the site of the first transcontinental telephone call, placed by AT&T president Theodore Vail on January 25, 1915. It was also the summer destination of some of the wealthiest families of the turn of the century including the Vanderbilts and the Rockefellers. 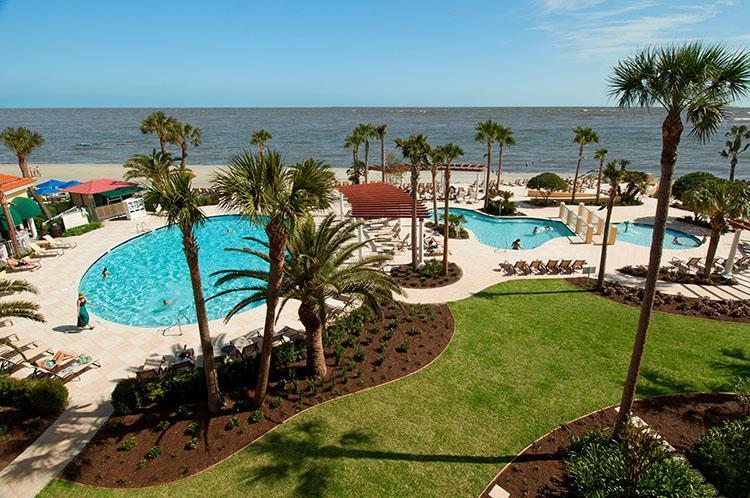 The unspoiled beauty of Jekyll Island still greets guests at this posh resort on the Georgia coast. Make use of the bicycles and discover the island as a family. They have recently updated their beach club (about a 10 minute bike ride from the resort) if you plan to do during beach season. Colony Hotel & Cabana Club (1926) Delray Beach, Florida. Built originally in the Flagler-era of Florida Mediterranean architecture with three bright yellow stories topped by twin domed towers, it was a sight to see in 1926 as much as it is now. The Club offers 250 feet of private beach with complimentary umbrellas, cabanas and chaises on the beach, about 2 miles from the hotel. Being on right on the beach is a huge advantage for families with lots of kids…free entertainment! Royal Palms Resort and Spa (1929), Phoenix, Arizona. Delos Cooke, nephew of J.P. Morgan and a financier in his own right, built his winter home on the site in 1929. The feel of a lavish private residence has been retained. While these HHA hotels can certainly be booked elsewhere, a portion of every booking made on HistoricHotels.org and HistoricHotelsWorldwide.com supports local historic preservation through the National Trust for Historic Preservation. Historic Hotels of America is the official program of the National Trust for Historic Preservation for celebrating and recognizing the finest Historic Hotels in the world. While many of the hotels are family-owned, there are also more than 30 of the world’s finest hospitality brands, chains, and collections are represented in Historic Hotels of America.